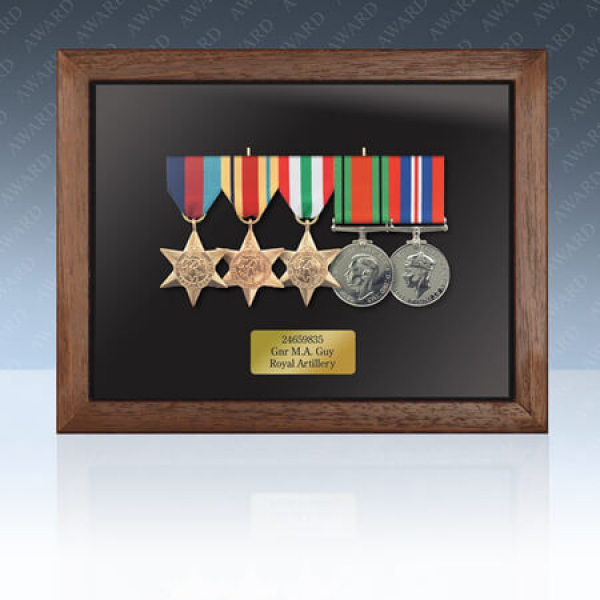 The Medalbox safely stores and displays mounted medals, allowing them to be easily accessible for occasional use with an easily removable case back with a secure seal to protect the medals from the elements. 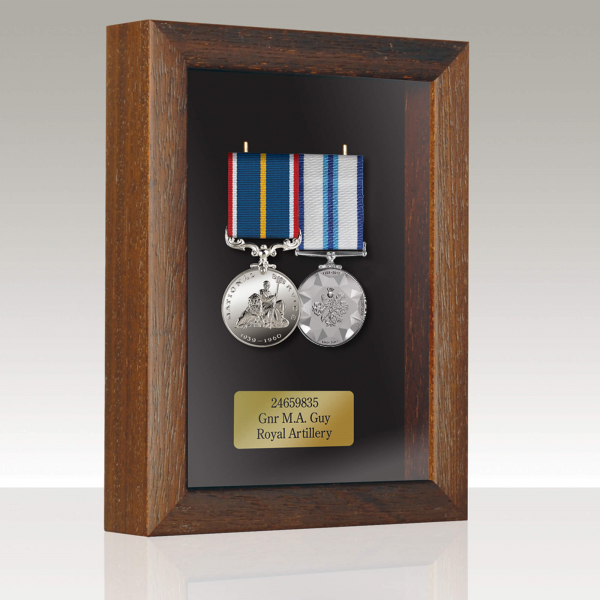 Two brass hooks are set in the flock-lined case back, allowing medals mounted on a bar to hang freely and securely in two sizes; 2-3 medals or 4+ medals. 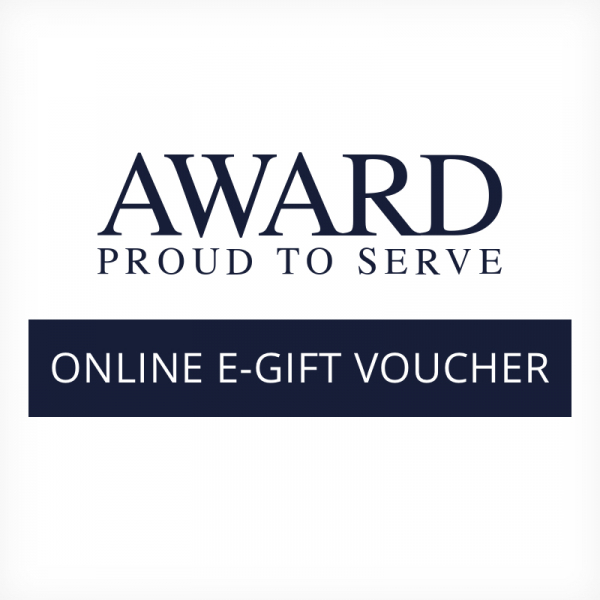 A brass effect plaque can be personalised with name, personal message and /or service details up to 50 characters, mounted within the frame.